I’ll be frank, I was never much of a vanilla Mega Man fan. I prefer the X and Zero series more because of the art styles, the bleaker take on the future, and the various mobility options. I dabbled here and there in the original series but never really finished any of them until Mega Man 8. Long story short, that was the only entry to the original series that I finished, and actually completed the game more than once. One of the many things that made me stick with that game is the incredible leap in quality of sprite work and animations. Because of this, I was extremely disappointed in the direction the series took in 9 and 10, in which both of the games regressed back to 8-bit sprites. So you could imagine my surprise when I first saw the trailer of Mega Man 11 utilizing stylized 3D models. After getting my hands on the game and playing it through to the end, I can say with confidence that Mega Man 11 is the correct progression of the Mega Man series. 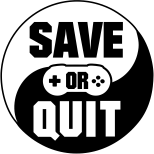 You play as the titular character, Mega Man, who will once again have to stop ol’ Dr. Wily and his 8 robot masters. The core gameplay remains intact as Mega Man will have to traverse through 8 stages of any order in 2D side-scrolling platforming manner, with each stage ending with a boss fight before reaching the Doctor. Your arsenal of weaponry includes the ever trusty Mega Buster, which can be charged up to deal more damage, and special weapons that you will gain from defeating robot masters. Of course, as per Mega Man tradition, weapons acquired from robot masters will be effective against certain bosses in a rock, paper, scissors manner. The blue bomber also has the ability to slide and jump higher with Rush Coil from the start of the game. The classic stage selection screen. New to Mega Man 11 is the addition of the mechanic called the Double Gear System, which is also a central plot point of the game. This aforementioned system consists of Speed Gear and Power Gear. Upon activation, Speed Gear will slow down time which can make things easier to dodge or make certain platforming puzzles easier to complete. On the other hand, the Power Gear, true to its name, enhances all attacks ranging from buster to robot master weapons, with an example being adding an additional hit to a fully charged buster shot. Usually, only one gear perk can take effect at any moment but this limitation can be bypassed if your health is low enough by activating both gears simultaneously. Due to the fact that these new abilities are extremely good, Capcom has put a shared meter on both gears to prevent players from abusing this mechanic. Prolonged usage will result in an overheat state in which both gears are forced to go on cooldown and are rendered inaccessible for a fixed amount of time. Bosses also possess a gear system which bolsters their attacks. From my time with the game, it seems very possible that all the stages can be completed without using the Double Gear System, but they’re obviously harder. Fuse Man getting serious with Speed Gear. Level design, while generally good, can be either hit or miss depending on who you ask. Each stage has their own gimmicks that are associated with the theme of the boss. For instance, the Tundra Man stage has chilling wind that will naturally push you to the left, while Blast Man’s stage has platforms that will be destroyed by bomb blasts. What is nice about the level design is that it sets up the levels in such a way that you will naturally be introduced to these gimmicks early on with relative ease, followed by the gradually harder and more complex parts the further you progress. Most stages are also noticeably longer than the normal stages you would find in the previous installments. Given the length and the way checkpoints are placed, the game can feel a bit unforgiving at times but not to the point of being unfair. Pictured: the Blue Bomber as he trying to escape the all consuming instant death flame. There are four difficulties to pick in the beginning: Newcomer, Casual, Normal, and Superhero. Unfortunately, this cannot be changed mid-game. Your adventure will have to be restarted from the very beginning in order to do so. I completed the game on Normal, and that seemed to provide a decent challenge for me. I did get a little bit into Superhero mode but not enough to have a solid bearing outside the fact that enemies no longer drop any items except for bolts, the game’s only form of currency. Various upgrades and items that will help you through your perils can be bought from Dr. Light’s Lab by spending bolts, which can be found all over the game. These things can range from a simple upgrade like eliminating knockback from a fully charged Mega Buster, to things that can completely nullify stage hazard gimmicks like the spike boots or Beat, the robot bird, who will rescue you from certain death by pitfalls for one time. The classic E tanks, weapon tanks, and lives can also be purchased here. Dr.Light and co. provide both mental and physical support for our hero. The cell-shaded and stylized art make the game look nice and vibrant. Although I am not 100% certain on this, some assets seem to be high-quality 2D sprites which add to the overall feel of a 2D atmosphere even more. Character models are cute/cool/charming, depending on the characters, and are in-line with the Mega Man entries. It’s also nice to see that the Mega Man we know has evolved with time. For the first time ever, his helmet and buster will transform to resemble the robot master depending on what special weapon is currently equipped with, not just color change like older games. Challenge mode and Gallery mode are also available. Challenge mode allows you to go through stages with extra conditions like completing a map as fast as possible, clearing a stage with the least amount of attacks, boss rush speed run, and many more! If you are competitive, there is an online leaderboard that you can upload your score to and see how well you fare against the others. Gallery mode lets you view all the enemies, mooks, and bosses alike, as well as play all the voice lines they say in-game at your leisure. Another nice thing in Gallery mode is that you can read their biographies, which contain interesting tidbits of information, like Block man tirelessly working in construction and sometimes working together with Impact man, or that the only time Fuseman can relax is with his pet rabbit. It doesn’t seem like much, but I appreciate background information like this as it adds to the lore and gives depth to characters. While I believe that Mega Man 11 is a good entry to the series, I do not believe that it has reached its full potential yet. Understandable, since this is the first entry of the original series on the main console in 3D, not counting Mega Man Powered Up or that one Battle Network game on Gamecube. Things that I feel lacking are puzzles or battles that would require creative uses or understanding of the Double Gear System. A glimpse of this can be seen very scarcely, which is nowhere near enough. While I understand Capcom’s intention to make the game completable without gear system, the final result, in my opinion, is that this new mechanic can feel a bit… shallow at times. Yes, you use it a lot because it is extremely good, but all it does is simply either make things easier to dodge or hitting things harder. Perhaps this is because Capcom is simply trying to test the waters before going all in? Anyway, if this mechanic makes a return in future titles, I would like to see it being explored deeper and in a more meaningful manner and not limited to just the story aspect but also gameplay as well. I like Mega Man 11 because unlike 9 and 10, it takes a leap forward both mechanically and graphically. It certainly does not break any major grounds established by its predecessors, but as the saying goes: “if it ain’t broke, don’t fix it.”. 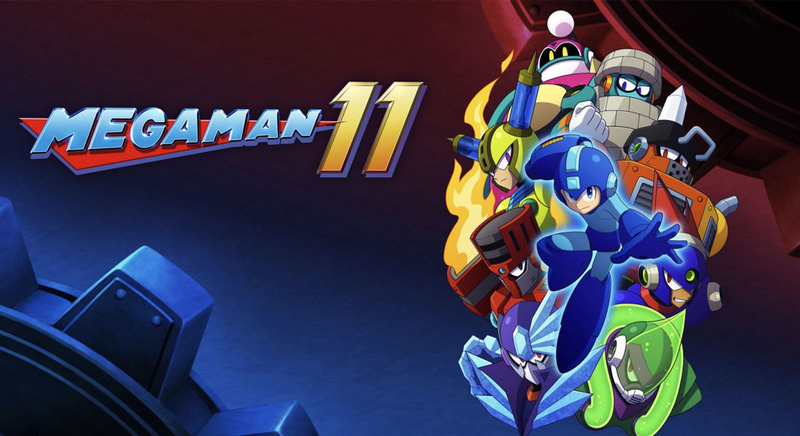 All Mega Man 11 does for the mainline series is give it a vibrant fresh coat of paint to appeal to its audience, as well as add a little bit of Double Gear System spice to generate interest. As a result of playing it safe, some players like myself may be left wanting for this mechanic to be implemented in a more profound way. Despite this, I can still say that the strong foundation that is the gameplay, supported by nice looking cell-shaded art style and good level designs, carries the game. If you are looking for a mainline series Mega Man or action platformer games with a slight twist to the gameplay, Mega Man 11 will satisfy that itch. Asian dude/Mecha enthusiast/Video games hobbyist/Anime+manga fan Follow me @hovermask. for updates on reviews and/or @HovermaskR for art and NSFW stuffs.